You know, I think Charlie is finally a male version of Lindsay Lohan. We needed a guy in Hollywood to get into trouble some the women that were constantly having issues wouldn't look so insane, like shaving their heads and such. He is really loop da freaking loop, so it's a real freak show like it was with Anna Nicole, but there came that sobering moment when she as on that awards show and not making any sense that you feel like someone needs to parachute in and do something. I always want to punch perky newscaster, too. Must be the vapid smile. Charlie continues to be popular because every one is still paying attention, unfortunately. 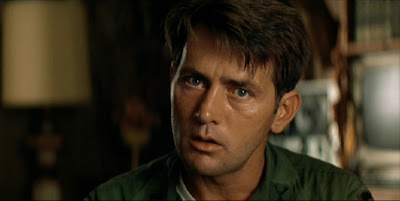 so true, so true... martin sheen is the true actor and should never be in the shadows.